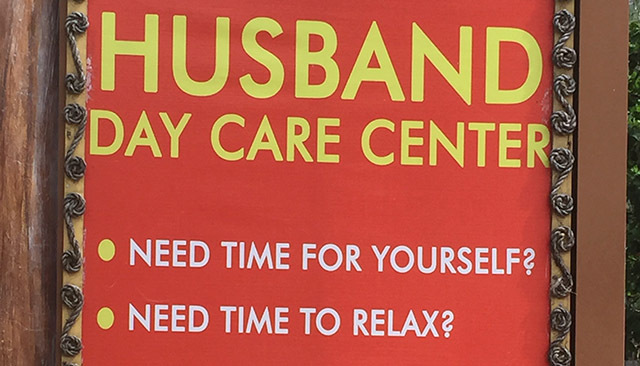 It's a stimulating yet laid-back environment by design. 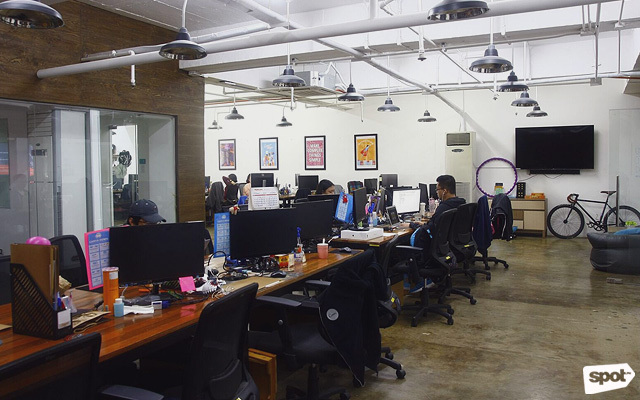 (SPOT.ph) Back in 2014, Canva Manila's base of operations was nothing to write home about—two rented rooms at a coworking space, big enough to accommodate a team of eight. Three years later, those confined quarters have evolved into two floors of office space at Makati's Coherco Corporate Center, as the once small team has since grown to over 90 employees. Developed in Sydney, Australia by Mel Perkins, Cliff Obrecht, and Cameron Adams, Canva is an online graphic-design app that allows users to create their own designs for blog graphics, presentations, posters, and the like. 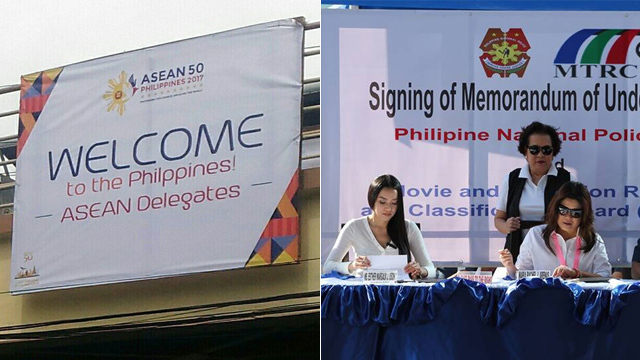 The app's popularity upon its release in 2012 hastened the growth of the company, leading the founders to set up another base in Manila. "[The founders] felt that Filipinos have a natural eye for design," says Kei San Pablo, country manager of Canva Manila. 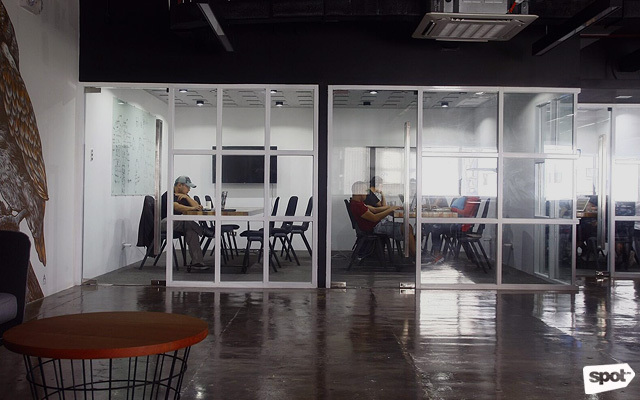 Much like the company's goal of empowering people to design, the Manila office aims to help its employees fulfill their potential by cultivating a fun, relaxed, and collaborative atmosphere. 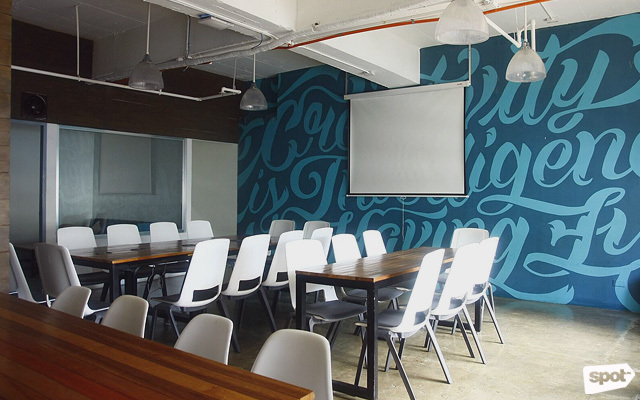 The Manila office handles Canva's day-to-day operations, so the environment has to be a conducive space for the different teams for design, marketing, and "customer happiness" (what Canva calls its customer service department). 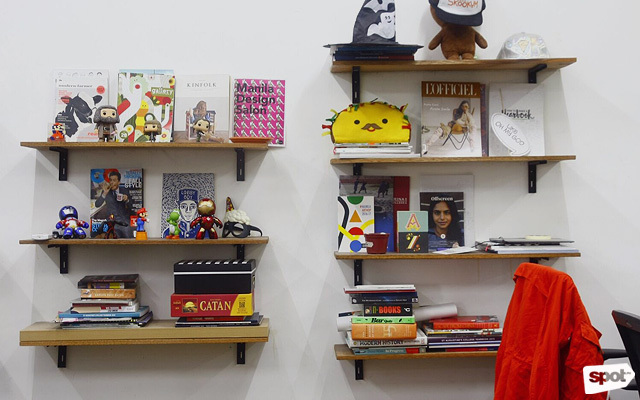 Being an office full of creatives, the interiors had to reflect and stimulate their creativity. The elevator lobby walls of the fifth floor, where the main workstations are located, offer a preview of what to expect inside. 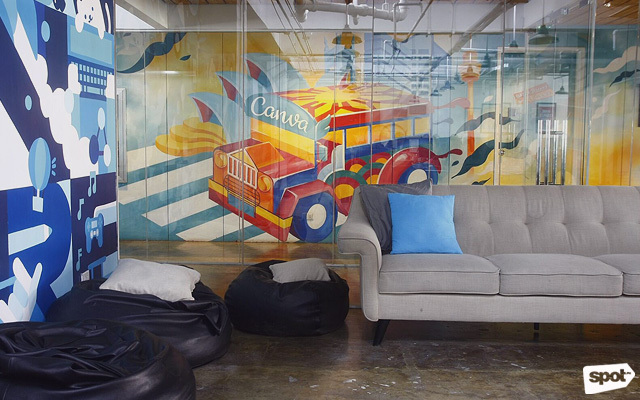 Employees and guests can admire a colorful mural showing the "Canva Jeepney," painted by CarbonMNL before they step into the office. 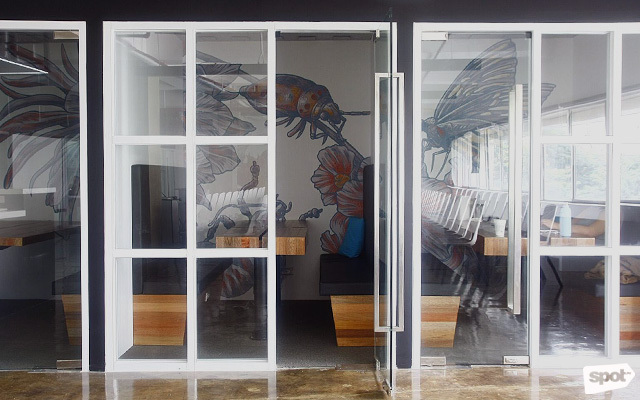 Greeting them upon entry is a blue mural called "Adventure," which best represents the culture of collaboration embraced by the Canva office. All employees, from the designers to the accountants, were asked to participate in the painting of the mural. "We thought, why not open it for everyone? The designers conceptualized and drew the design, then everyone just painted over it. It was fun and fulfilling for us," says Kei. The playful vibe continues throughout the two floors occupied by Canva. 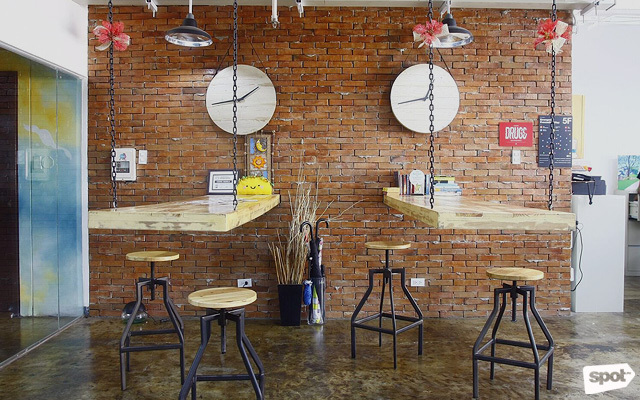 Two hanging tables by the entrance are as inviting as a nook in any coffee shop. 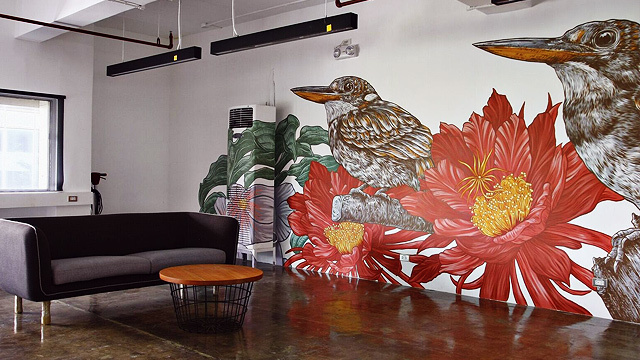 Walls are awash with color from various murals that introduce a local flavor to the office, done by commissioned artists and Canva employees themselves. Despite the industrial aesthetic, the office is lent a cozy ambience by warm materials, accents, and mismatched furniture, encouraging employees to kick back and relax as though they were at home. 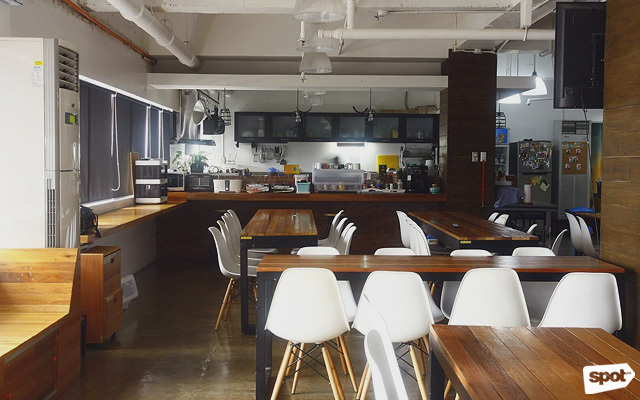 It's no surprise then that the space considered most important by the Canva team is the kitchen and dining area, which takes up almost a third of the fifth floor. The space is symbolic of the company's values, as it harkens back to Canva's humble beginnings when the founders still worked in the living room of Mel Perkins' house and would frequently eat home-cooked meals together. "The kitchen is our happy space, because it brings all of us together. That's the culture we want to cultivate in this office," says Kei. A personal chef cooks meals for breakfast and lunch that employees can enjoy. The dining area beside the kitchen also functions as a space for birthday celebrations, parties, or after-work events organized by "clubs" within the office. Like college orgs run by the employees, the clubs help foster a sense of camaraderie around the office and contribute to the culture of collaboration. The Coffee Date club, for example, will randomly pick two people to have coffee together. The purpose is for them to get to know each other, and if a work-related collaboration springs from the coffee date, all the better. Patterned after the Sydney headquarters, the Manila office's layout is free-flowing and open. There are no exclusive rooms for higher-ups, as everyone works on long communal desks lining the main area of the fifth floor. The walls and corners serve as a canvas that employees can personalize with posters and other trinkets. "Everyone has the freedom to move around. They can work at their desks, on a couch, or on a bean bag, and no one will judge them," says Kei. The setup is perfect for a company that wants to keep its organizational structure as flat as possible. While having an open layout for an office has its advantages, the lack of divisions could prove unconducive for discussions between people. As a result, the Canva office is rife with meeting rooms where teams could sit down and discuss projects without disturbing the rest of the office. Should people need to communicate with the Sydney office, they can use "Skype rooms," smaller versions of meeting rooms where they can hold one-on-one teleconferences. The fourth floor is dedicated to more meeting rooms and a presentation area for team stand-ups, where the departments present reports that are recorded for the benefit of the Sydney office. 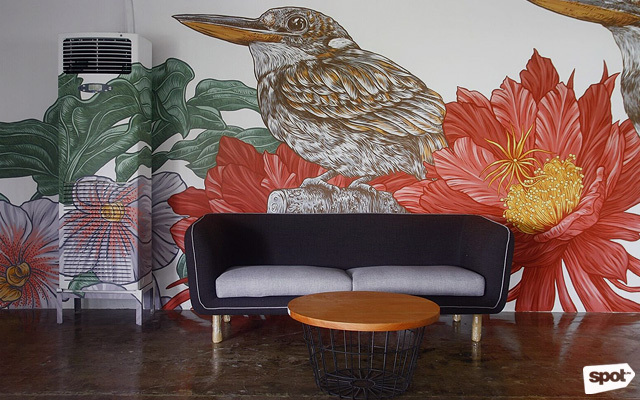 A more "natural" ambience reigns over this floor, with the flora-and-fauna-themed murals by artist Archie Oclos crawling over the walls of the meeting rooms and presentation area. Kei shares that they plan to expand up to the sixth floor which will be dedicated to a bigger kitchen and events area, thus freeing up more workspaces and meeting rooms on the lower floors. "The number of employees we need to feed keeps growing," she says with a laugh. 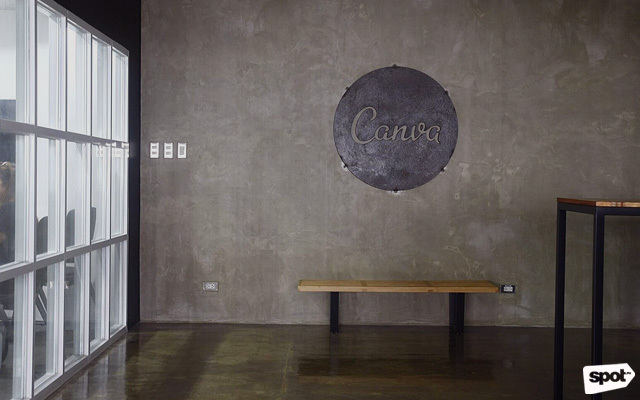 As the Canva Manila office continues to grow, it's refreshing to know that it wants its people to grow with it by providing them with a stimulating yet laid-back environment. For more information, visit Canva's website.